Today is a day of remembrance, and a time to thank all of those who have served our country. Past, present and future, the words ‘thank you’ don't seem to be enough. Many people have given so much of themselves, to work tirelessly to preserve our freedom and protect our country. Today on 9/11 we take a moment to remember those who lost their lives that tragic day, and the families they left behind. We take another moment to honor all of the individuals who helped that day, and who are, or who have served our country. Today we remember. In honor of all these individuals and their families My Time Made Easy ™ LLC and Paper Sweeties has organized a Blog Hop with *NEW* products & projects to inspire you to create gifts for our Troops, or that special someone! Now you are probably excited to see what was released in honor of this special occasion! *NEW* at Paper Sweeties in September and available for a ‘special pre-release’ on 9/11 is an adorable boy doll stamp named ‘Jake’! Jake measures approximately 3 ½” tall and is the perfect companion for the Sweeties girl stamps – Abigail, Emma and Sophie! Jake has several outfits available this month – one of which is the cutest soldier ‘dress’ uniform complete with a medal of honor, hat and six heartfelt sentiments! Jake was designed at the request of a good friend who is very involved with the Operation Write Home organization because she has a brother serving overseas in the armed forces! Each Sweeties stamp set retails for $10. Paper Sweeties full September release launches 9/15. *NEW* at My Time Made Easy ™ LLC is an amazing package collection called Made in the USA! As mentioned above, this collection was created in honor of those who have, or who are currently serving our country! This package includes everything you need to create your own amazing gift package! Contents in this collection are the Tough Tank Template, a sheet of Camouflage Digital Paper, and an additional three sheets of patterned paper in red polka dots, yellow stars, and blue stripes, as well as a Set of 31 Digital Images called Made in the USA. Made in the USA Digital Stamp Set: includes a Military Forces tag that can be customized, a saluting soldier silhouette, a Dog Tag, circle flag tag, alphabet for you to create your own tag, as well as a Made in the U.S.A. sentiment. This was designed at the request of, and in the honor of Lauren’s brother, Craig, who served many years in the U.S. Army! He wanted a realistic version of the "real deal" to honor his time spent serving our country! Note: The top of the tank rotates 360 degrees, and comes off the tank, so you can package all sorts of gift items inside the tank. Now you too can easily re-create this Tough Tank to create your own customized gift package. The perfect container to package up gifts for any of our Troops, maybe for sending a special care package, a great gift option for someone who served, or is serving in the military, or maybe that special child in your life who enjoys playing with Army men, and things of similar nature. Makes an excellent party favor or centerpiece too and when partnered together with Paper Sweeties Jake and his adorable uniform outfit … you’ve got everything you need to create the perfect gift, card, party favor or decoration! THANK YOU for joining us for this special commemoration blog hop! It's difficult to believe that summer is winding down (and that I haven't blogged since June!). My kiddos head back to school tomorrow, so I made some cards and boxes of chocolates for their teachers. A good friend of mine recently started her own acrylic stamp company, Paper Sweeties. I used Abagail and So Proud of You on this card. 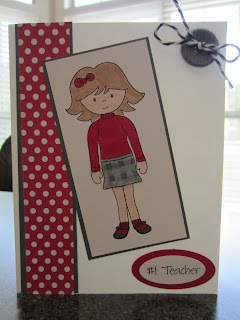 I am also submitting this card for the Back to School challenge over at 4 Crafty Chicks. Well, I'm not sure where the time has gone since I last blogged. I promise I've been crafting, just slacking in the blogging area! :) Here are some quick and easy cards that I made as gifts for my daughter's teachers. Love the new in colors - available today! The dark red is Raspberry Ripple, and the green is Gumball Green. It's been a while since I've stamped for fun, hence no blog posts lately. However, yesterday, I came upon a blog which really touched me. 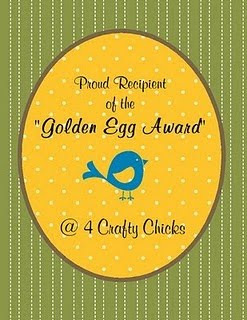 There is a fellow stamper and paper-crafter who is battling stage 4 gastic cancer. She is a young mother and wife. To help cover her rising medical bills, a stamp set was designed in honor of her. You can read more about it HERE. I plan to order this adorable octapus, while helping this deserving family. Please spread the word and post this on your blogs. Together, we can all make a difference!